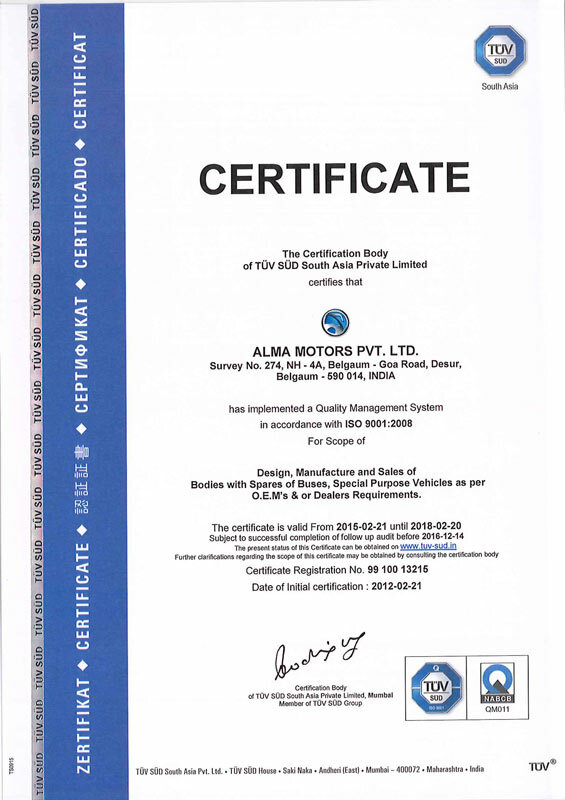 Golden Award from Ashok Leyland for Fully Built Vehicles Solution Provider received in the year 2010. 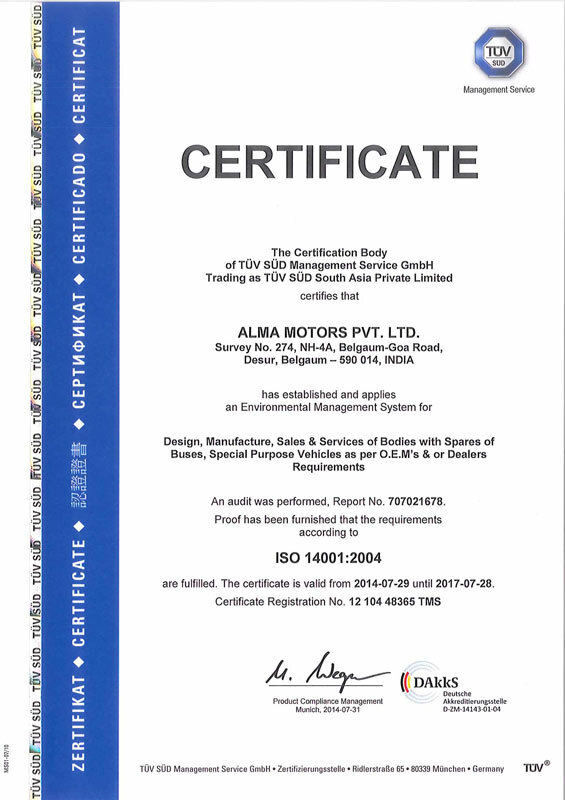 Award for Outstanding Contribution for New Product Development won for Eicher New Skyline received in the year 2010 from Volvo Eicher Commercial Vehicles Ltd. 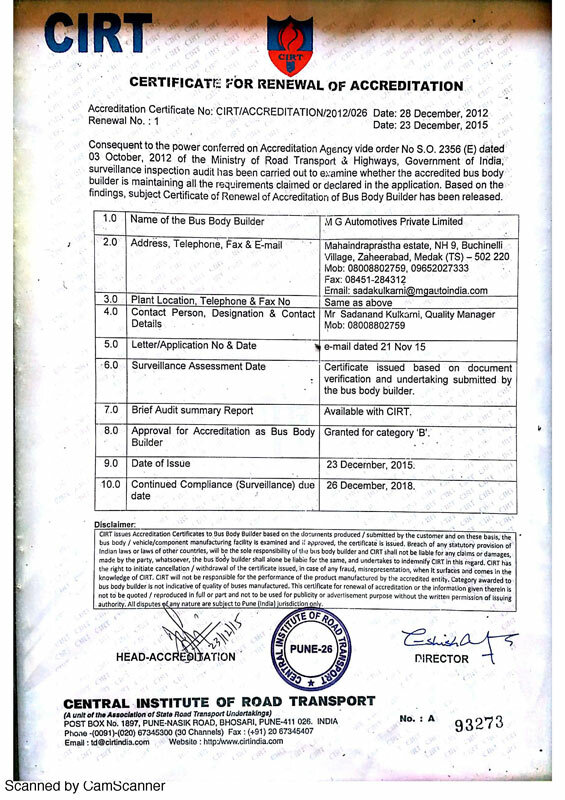 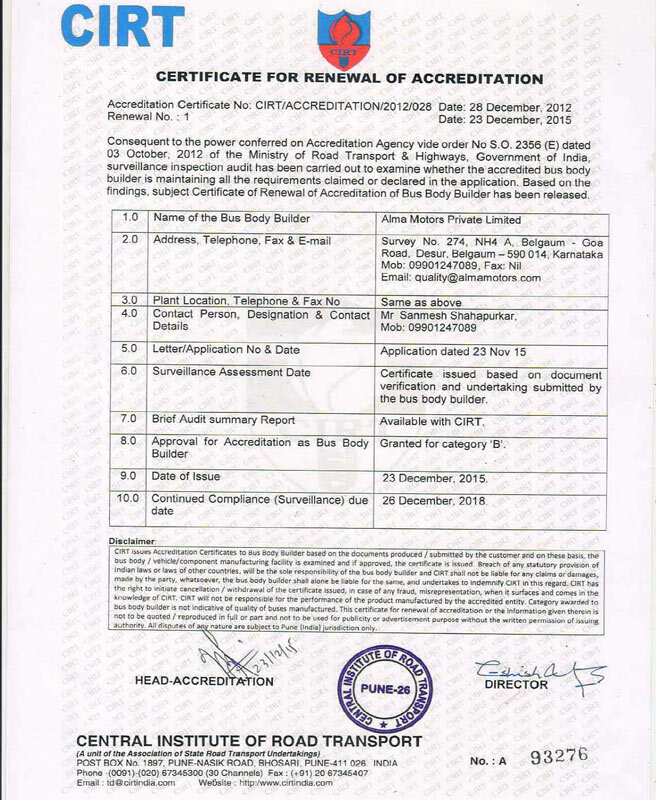 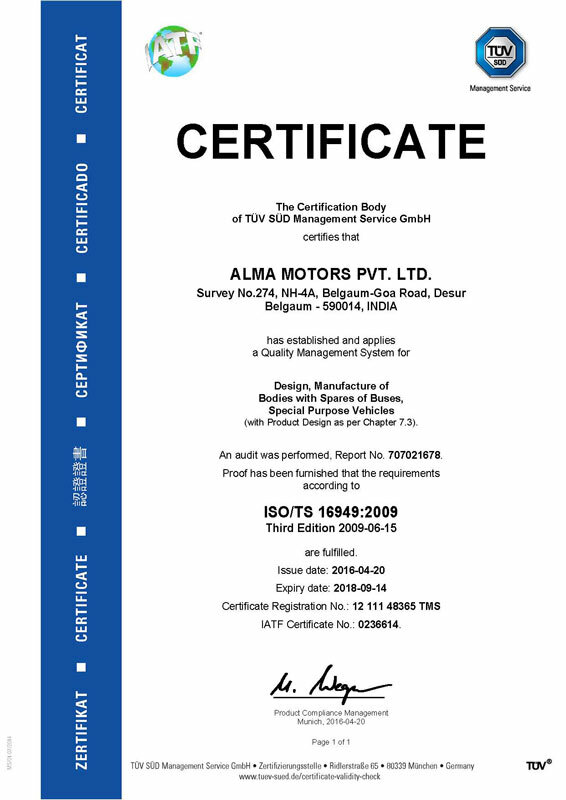 Recommended by Central Institute of Road Transport (CIRT), Pune for award of the certificate for Bus Body Accreditation of Bus body builders in ‘A’ category which includes design, development, mass manufacturing, Quality inspection and product capabilities. 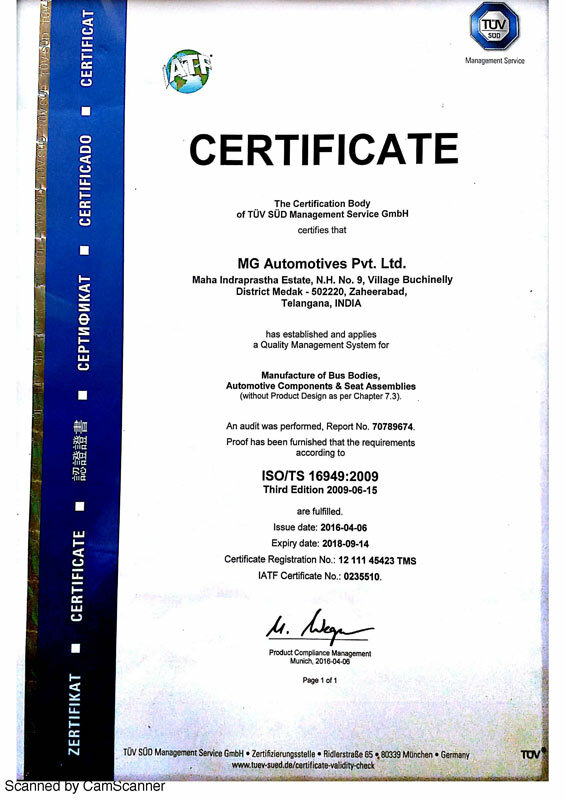 The Eicher New Skyline model won the Apollo CV Award for the best LCV bus of the year 2009, 100% of which are built by the MG Group.